ZenBio epidermal keratinocytes are available from adult and neonatal donor tissue and are provided at the earliest passage without the use of a murine feeder layer. Keratinocytes are available from donors of varying ages, genders, and diabetes status. 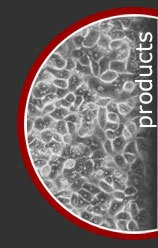 Donor matched epidermal keratinocytes, dermal fibroblasts, melanocytes and subcutaneous preadipocytes are available. All cells have been tested for fibroblast morphology and viability. Cells have tested negative for HIV-1, HIV-2, HTLV-1, HTLV-2, Hepatitis B, Hepatitis C and mycoplasma.